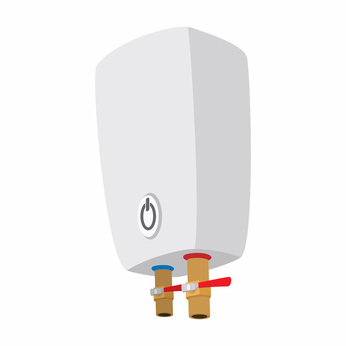 Is a Tankless Water Heater Right for You and Your Home? Tankless water heaters are not for everyone. How many people are in your home? How is your house wired? What kind of investment are you willing to make? These are all things to take into consideration when choosing your water heater. There's a common misconception that the "instantaneous" tankless water heaters are substantially more efficient. That is not exactly accurate. Most people do not want to wait for hot water, nor do they want to run out of it while showering. Furthermore, they do not want either of those things cost them an arm and a leg. A person living alone and using less water will see smaller savings. Families and those with high water needs will benefit the most. Tankless heaters need to be de-limed by a professional about once a year. Traditional models require little, if any, maintenance over their lifetime. Electric models need most homeowners to spend much money towards electrical upgrades to accommodate the system before installation. This can add as much as $5,000 to the total purchase price. The Pros: Tankless models save space, offer longer warranties and can save you money in the bigger picture. Homeowners can see benefits of a tankless water heater well beyond energy savings. These heaters save space with a slim and compact design, the last longer and are better for the environment because a rusty tank does not end up in the landfill. You will avoid having breakdown issues with water on the floor, and tankless water heaters typically have a longer warranty, about 15 years. Traditional water heaters can come with up to a six-year warranty. Demand: Do you need a unit to heat water in just one bathroom or the entire house? Type: Consider the requirements. An electric water heater model will need the proper amperage, voltage, and a circuit breaker. Gas powered models need to be vented to the outside. Location: They must be within 50 feet of a power source, and can be mounted on an interior or exterior wall. Life expectancy: Most tankless water heaters last more than 20 years — about double the lifespan of standard storage water heaters. Installation: Hire only a master plumber or a licensed HVAC contractor to install it. Often, the installation is included when you purchase a unit from a dealer. Cost: For a family, a tankless water heater that uses natural gas not only lowers your electric bill, but you can qualify for up to a $300 federal tax rebate.